Orienteering is a challenging outdoor adventure sport. 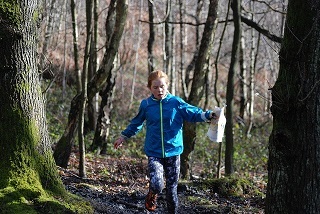 The aim is to navigate between control points marked on an orienteering map and decide the best route to complete the course in the quickest time. It does not matter how young, old or fit you are as you can choose the course that's right for you and run, jog or walk it at your own pace. It is excellent for adults wanting to shape up, add some excitement and mental challenge to their running and meet new friends. It is also ideal for families as everyone can take part at the level that's right for them and it allows children to develop independence, confidence and decision making skills. Preparations for the JIRCs relay at Tankersley on the 29th September are well underway, but have been thrown into turmoil this week after officials encountered a rarely-witnessed phenomenon. TankersIey is known for its infamous Bell Pits, but what is perhaps less well-known is that these were created as a result of Iron Ore mining, which took place there over hundreds of years until the 1800s. It appears that because of a combination of earth movements due to forestry works, and extreme temperature fluctuations (such as this spring) causing exfoliation, there has been a significant breakdown of the outer layers of the ancient mine workings, exposing much of the remaining iron ore deposits. The Environment Agency is aware, but have assured SYO that this poses no health risk for wildlife or other users of the area. As a result of this, magnetic north has effectively changed. 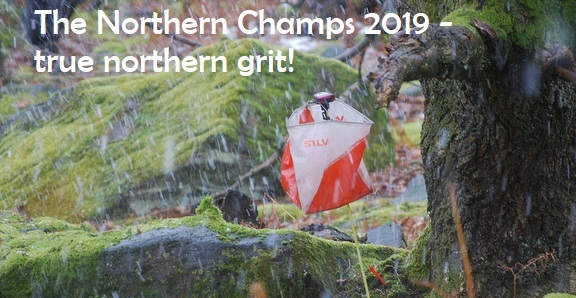 This phenomenon was discovered only a few weeks ago, and this is the first ever case recorded in orienteering history. The change has been calculated currently to be 104.19 degrees from grid north, but there are fears this figure will continue to fluctuate throughout the summer, depending upon climatic conditions. Whilst other parts of the world, such as Australia, are more familiar with the effect of Iron Ore on compasses, there has never before been a reported problem in the UK. It has been declared today in a statement that SYO will be “monitoring the situation closely, with hopes that the magnetic instability will settle as we move into Autumn, and that a reliable figure can be obtained”. The first is to superimpose north lines on competitors’ maps on the day of the competition. Due to the nature of waterproof paper, it has been suggested perhaps the best (and fairest) way to do this would be for athletes to draw their own north lines on the map in the start lanes – sharpies will be provided. However, this has a major impact on Tankersley’s all-important undergrowth screen, with lines running roughly perpendicular to the north lines, with huge potential for confusion. The other option would be to establish an accurate reading for north as close to the competition date as possible, and then produce the map accordingly. But this would be a very time-consuming adjustment, potentially with just weeks to go until the competition, with significant work to undertake particularly on the area’s many bell-pit depressions & pits and the undergrowth (all of which are orientated to north on a map drawn to the ISOM 2017 standard). It is also not clear how a re-orientated map would fit on a standard A4 page, and so to keep costs down for the event it may be that the scale will need to be altered – causing yet more work for the mapping team. A final decision on re-mapping vs compass re-calibration is expected to be confirmed later in the season. Competitors who have previously run on the area may be faced with significant navigation issues, with some suggesting it will change the ‘feel’ of navigating on the area. Concorde Model Flying Club, based on a field adjacent to Tankersley Woods, has also been adversely affected, with club members forced to ground all planes due to magnetic interference with their radio signals. The event organiser raised concerns just yesterday that the re-magnetism of the area could prevent the use of SIAC enabled controls for the forthcoming event, due to unknown inaccuracies. SportIdent UK are yet to comment. SYO would like to take this opportunity to reassure juniors that the JIRCs Relays will nonetheless still go ahead, and that every effort is being made to overcome these technical difficulties. If you have any questions regarding this matter, please do get in touch. Over 100 members of the club travelled to Sherwood Pines near Mansfield to take part in the Compass Sport Cup Heat. Thankfully the day was mostly dry and sunny and, in contrast to last weekend, there was very little mud to be found anywhere. 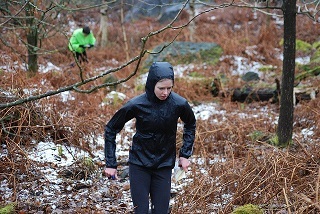 Conditions were quick and many members raced round their courses in very swift times. SYO won convincingly by 97 points over DVO. We had 7 course winners - Oli, Al, Kim, Tim T, Paul B, Dom and Freya - who scored the maximum 100 points. Our other scorers were Chris W, Charlie, Jenny P, Peter G, Euan, Jill, Pete T, Imogen, Martin, Jaimie B, Amanda, Alex C, Olmo, Isabelle H, Lucy, Jenny J, Alex R & Michael. (Ian and Colin S also scored 95 points the same as our last scorer). Well done to everyone who took part, even if you didn't score, as you all helped push down the score of other clubs. The final is on 20th October at Pippingford Park near Crowborough in the deep south! Please put the date in your diaries - we need as many members as possible to attend so we can hold off BOK and FVO to retain our trophy! Related: view SYO's CompassSport Cup history. The name “Spring in Sheffield” clearly sealed the fate of the weather last weekend – there was no way it was ever going to be anything other than grim! Future weekends will be called “Stormy Sheffield” or “Sheffield in the depths of Winter” and the weather will be glorious! However despite the rain, sleet, snow, hailstorms and mud SYO delivered two fantastic days of competition in two very different areas. The weekend also formed part of Sheffield City Council’s Festival of the Outdoors. 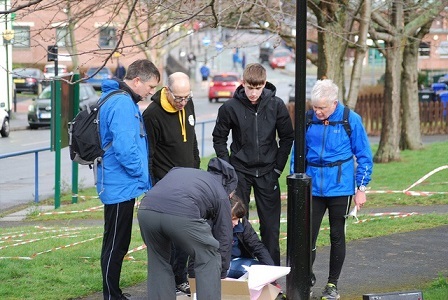 Saturday's Ponderosa urban orienteering race offered fast and furious orienteering through intricate areas of social housing and inner city parkland. 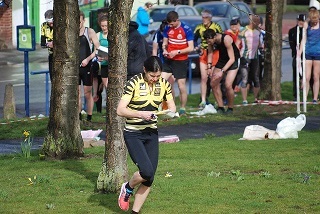 The races, which attracted close to 500 entrants, were part of the UK orienteering league and the Elite orienteering league. There were many positive comments on Colin’s tricky courses. The inclement conditions meant participants and helpers alike were very appreciative of Bill’s indoor event centre and the “SYO Junior Café” proved very popular. The Elites were first out into the terrain with a challenging sprint race and then it was the turn of the juniors, veterans and non-elites. The men’s elite race was won by Will Gardener (OD), Dom was the highest placed SYO runner in 20th place. The women’s elite race was won by Megan Carter-Davies (MWOC) with Mary the highest placed SYO female in 4th place. In the other classes there were good results for Peter G winning the ultra vet class and Lucy taking 3rd on women’s open. SYO showed the strength of their junior section with Euan winning the junior men’s race and Matthew taking 3rd place. In the young Junior races it was a clean sweep for SYO with Robbie, James & Joseph taking 1st, 2nd & 3rd in the young junior men and Freya, Anna & Charlotte finishing 1st, 2nd & 3rd in the young junior girls. Sunday saw the turn of the Northern Championships. 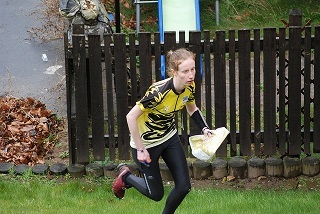 The race, with close to 900 entrants, was again part of the UK and Elite orienteering leagues. We are sure everyone’s hearts sank as the sleet lashed down and they drove through the grotty industrial tracks to the swamp that constituted the assembly area. It was slightly unfortunate that the lovely tree-lined assembly had just been felled prior to the competition but, on the upside, at least the building of 800 houses had been delayed to the end of March! Fortunately helpers and participants made the best of the grim conditions and were surprisingly chipper as they went about their business. A huge thank you to everyone who braving the horrendous conditions while helping over the weekend but particular thanks to Lucy, Bill, Oli, Jenny & Colin who fulfilled our major official roles. A big thank you also to the two controllers – Steve Kimberley and Andy Yeates.